There was only one form of bacon present at EE's breakfast event today, but plenty more to chew on, as the UK 4G provider shed light on its new shared plans and PAYG data-only offerings. The sharing scheme, launching on July 17th, will put up to five devices on one bill and allow them to feed from the same data allowance. Starting with any regular contract, you can add other phones or devices at any time. Snagging another phone SIM for one year costs £12 per month, or £17 if you only need it for 30 days -- you can also get handsets to go with those SIMs for additional dinero. Every phone plan you tack on includes unlimited calls and texts, but if you only need a SIM for data, it'll cost £5 each month on a two-year contract, £8 for a 30-day commitment, and more if you want a USB dongle, MiFi hotspot or tablet on top. EE had plenty more to tell us, so head below the fold if you're up for the full rundown. Get through a lot of gigabytes? Then EE's summer promotion, also starting on July 17th, might interest you. Any 24-month contract signed before September 30th will get increased data allowances for the duration of the plan. For example, £51 each month will get you 20GB of data, up from the previous cap of 5GB. Existing customers can get in on the temporary deal, too, but they'll have to upgrade to a price point above their current level for the extra allowance. Can you handle a few more figures? Great, because EE also detailed its new PAYG data options. A SIM alone costs £15 upfront, £50 gets you an Alcatel L800 USB dongle, or fork over £70 for an Alcatel Y800 MiFi hotspot. All come with 2GB of data included and top-ups range from £3 for 500MB to £30 for 10GB. A 500MB add-on expires in one day, whereas all higher tiers expire after 30 days, so you'll want a pretty good idea of how much data you'll use in a month to avoid wasting gigs and cash unnecessarily. Departing from contracts and data, EE also announced it's getting into the NFC payments game thanks to a MasterCard partnership. Called "Cash on Tap," the service supports payments of up to £20 using EE's Tap Wallet Android app. You get a free £5 to start you off, and another £5 gratis the first time you add cash of your own, which is done with any debit or credit card. Only the LTE version of the GS3, the GS4 and the Xperia SP are supported at the moment, with others "to be added in the coming months." Finally, reminding us that EE's still invested in wired broadband, the company took the wraps off its router refresh: the Bright Box 2. The dual-band 802.11ac router will be available later this summer to new fiber customers or upgraders. According to EE, each router will be personalized so you'll just receive it in the post and plug it in. No house-visit required. LONDON, 3rd July 2013 – EE, the UK's most advanced digital communications company, today unveiled its next-generation network and a range of new plans and services designed to make it even easier for customers to enjoy EE's superfast 4G and Fibre broadband. Following an accelerated roll out, EE will officially switch on double-speed 4G in twelve UK cities on the 4th July. This innovation will see EE's network reach a theoretical maximum top speed of 150Mbps, and will double the current average speeds to 24-30Mbps, giving the UK a 4G network that's unequalled in Europe, faster than mobile networks in the US and Japan, and equal to the best in South Korea. Double speed 4G from EE will provide an even better experience for customers when enjoying HD videos, sharing high resolution pictures, sending large files, multi-tasking, and tethering multiple devices. EE will be making double speed 4G available to all existing 4GEE customers, while they remain on their current 4GEE plan. Olaf Swantee, CEO of EE, said: "Last year we launched the first superfast 4G and Fibre broadband network in the UK. Now we're staying one step ahead with the launch of double speed 4G and a range of new innovative plans and services – designed to transform the way our customers connect and share content. "Our new double speed 4G technology means that we have the biggest, fastest and best network in the UK, and now the equal fastest in the world. With our superfast network, we have a unique opportunity to introduce a new era of customer-friendly pricing models based on speed, and we'll be revealing further details of this later this year."  The UK's first Shared 4GEE Plans, allowing customers to connect up to five separate devices to one 4GEE plan. Customers will receive one bill for all of their devices on their Shared plan, providing greater convenience and value.  The UK's first range of Pay As You Go 4GEE Mobile Broadband Plans for customers who want the convenience of superfast speeds on tablets or laptops without a monthly contract.  Cash on Tap, in partnership with MasterCard – a quick, secure and convenient way for customers to make payments via their mobile.  EE will also be launching the Bright Box 2 wireless router for Fibre broadband customers later this summer. The Bright Box 2 is designed to offer a stronger Wi-Fi signal and less drop- off in speed when a customer moves around, as well as plug and play set up. On 17th July EE will be launching a summer promotion offering double speed 4G and greater data allowances for consumers. Customers who sign up to a 24 month 4GEE phone plan before 30th September 2013 will receive both double speed 4G and data allowances which are double, triple or even quadruple the size of the standard plans1 for the duration of their contract. Existing customers can take advantage of the bigger data allowances offered during the promotion by upgrading their plan to the next price point. The promotional offer is available on a range of plans, starting from £26 per month for 500MB, up to 20GB for £51 per month, all with unlimited UK calls and texts. Separate plans for small business customers are also available. EE Shared 4GEE Plans allow customers to connect up to five devices to the one 4GEE plan – whether it's with friends and family, or for their own tablets and laptops. Customers can add an existing 3G2 or 4G phone to their 4GEE phone plan from just £12 per month on SIM Only (from £22 per month for a new 4G phone), allowing them to receive unlimited minutes and texts on both phones, as well as access to the shared data. Alternatively customers can add an existing 4G tablet from £5 per month on SIM Only (£26 per month for a new 4G tablet) or an existing 3G2 or Wi-Fi enabled tablet (via a mobile Wi-Fi device) for £11 per month. An example saving for a typical family of four would be £38 a month – over £450 a year3. Devices added to a Shared 4GEE Plan will also receive great EE benefits, including 2-4-1 cinema tickets with EE Film, Clone Phone Lite4, inclusive content add-ons (music, games or TV5) and Fast Track Service into Customer Services. With EE's range of Pay As You Go (PAYG) 4GEE Mobile Broadband Plans, customers can choose from a variety of great value data allowances, starting from £15 for a data SIM which comes preloaded with 2GB of mobile data for 30 days, or with the same allowance an Alcatel L800 dongle for £50 or Alcatel Y800 Mobile Wi-Fi for £70. Customers can also top up their data on any PAYG plan from just £3 for 500MB, up to a maximum of £30 for 10GB. When a customer's data allowance runs out, they will be directed to an EE page in their web browser so that they can top up their data through buying a data add-on – preventing any unexpected run-on costs. A range of data add-ons are available so customers can choose how much data they need or how much they want to spend, meaning they are always in control. EE is also launching its first branded mobile contactless service. Cash on Tap, in partnership with MasterCard, is a quick, secure and convenient way to make payments via compatible 4GEE mobile devices and the downloadable app. The service will be accepted at over 230,000 outlets nationwide, including McDonald's, Boots, and Greggs. 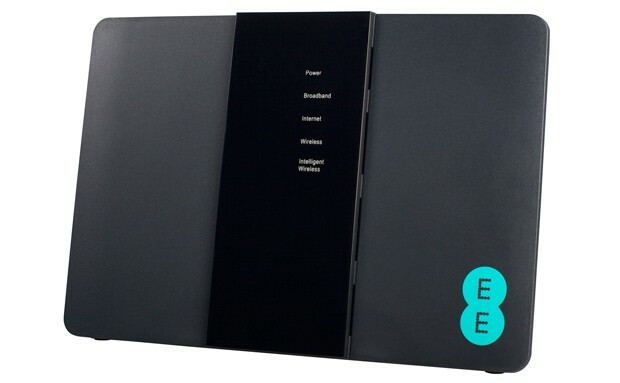 EE will launch the next iteration of its award winning Bright Box wireless router later this summer. Designed to complement its superfast Fibre network, the Bright Box 2 features the latest advanced wireless 'AC Wi-Fi' technology, offering an even greater wireless range and less drop-off in speed when a customer moves away from the device. 'AC Wi-Fi' technology features in many of the latest smartphones and tablets, including the Samsung Galaxy S4, so customers can be assured of the best connection to the superfast network at home as well as when they are out and about.